Tamron USA has announced that its partnership with Lumenera has produced a FIPS 201 certified security and surveillance camera. The Lumenera Lu375C equipped with Tamron’s M12VM412 CCTV lens has been awarded FIPS201 certification and also meets U.S. federal government standards for Personal Identity Verification (PIV) in facial image capturing systems. Tamron’s M12VM412 lens— with its flat-field megapixel, vari-focal lens and 4-12 mm focal length— produces high quality imagery and is designed for cameras with a half-inch imager size, like Lumenera’s Lu375. The lens can also produce clear images in low-light conditions— a valuable feature in surveillance applications. 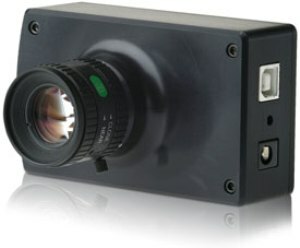 Lumenera’s Lu375C is a USB 2.0, 3.1 megapixel color camera ideal for industrial and security environments. The Lu375C features an on-board 2048 x 1536 resolution that yields incredibly sharp, high-quality images. FIPS201 requirements have led to the standardization of biometric processing for electronic credentials for both logical and physical access control systems. Though no easy task, FIPS201 compliance ensures that Lumenera and Tamron’s camera system will be fully interoperable with any current or future PIV systems. The camera is currently available for sale, and additional information for the joint initiative can be found at the companies’ websites.